It’s become pretty clear that Americans are scared of Ebola, more so than residents of any other country. Despite Center for Disease Control (CDC) assurances that Ebola is unlikely to spread in a developed country like the U.S., NBC News found that nearly 40 percent of Americans believe that an Ebola outbreak will hit the U.S. soon — with more than 25 percent also worrying that such an outbreak would infect one of their family members. So, in short, we're a bunch of hypochondriacs. You know what we should actually be scared of? Flu. Yes, really. International SOS — a group that helps evacuate travelers to foreign countries when they need medical care — has confirmed that the risk of Ebola spreading in developed countries is low (very low) thanks to our access to resources and ability for fast, efficient medical responses. Despite our overwhelming fear of contracting Ebola, however, many Americans are still hesitant to take a small step to prevent a truly threatening, contagious disease that kills up to 50,000 American each year: the flu. Sure, the Ebola virus has a sensational, headline-worthy edge to heighten its scare-factor, but the flu is actually deadlier in the U.S. than Ebola has ever been, and probably ever will be, according to the CDC. Seriously, guys. If you’re so afraid of contracting a virus that only one person in the U.S. currently has, why wouldn’t you take action to prevent a virus that spreads like wildfire through schools, offices, and retirement homes around the country each year? You would think that people would come around to the merits of the vaccine — especially if this flu season is projected to be even worse than last year's. According to the CDC, only 45 percent of Americans get the flu shot each year, which not only puts individuals, but entire communities at risk for contracting the potentially fatal disease. 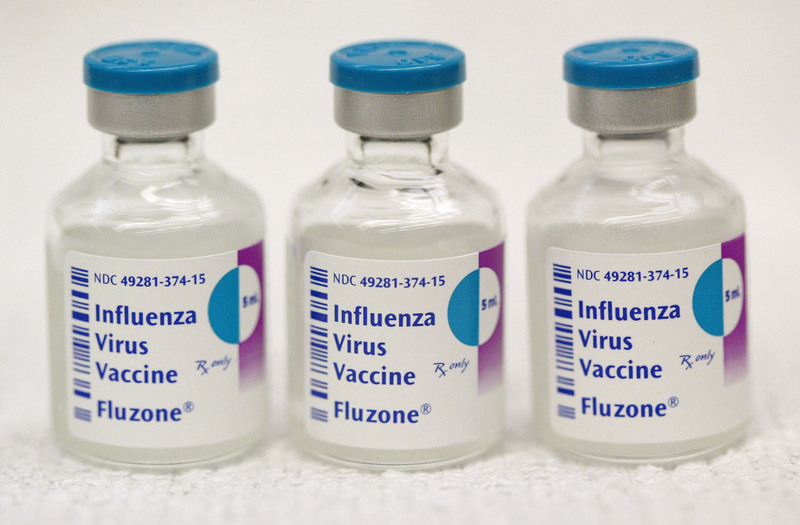 Because the youngest and eldest members of society are more vulnerable to contracting the flu than healthy adults, the CDC advocates adopting the “herd immunity” mentality with flu shots, which essentially says that having more, healthy adults get the flu shot means more protection for those who don’t have access to the shot, such as infants and those with compromised immune systems. Get a shot, save a life, forget Ebola for now — sounds like a pretty good tradeoff, right?